In 2012, Mr. Dwyer co-created a sixth grade transition program for incoming students to the middle school. As a seventh grade science teacher, he recognized the challenges that incoming students had when transitioning from elementary school to middle school. The summer program has continued to grow serving over 20 students a year, despite shrinking resources. In the four years since Mr. Dwyer helped to create the program, it has served nearly 100 students. Mr. Dwyer has been able to work alongside one of his colleagues to continue to be responsive to the need of students despite limited time and funding. An innovator, Mr. Dwyer not only developed the middle school transition program, but he has contributed on several district and statewide committees. This past summer he was part of a district-wide science collaboration that worked well into the summer break to find resources that matched the KPBSD science curriculum. Mr. Dwyer is a highly organized person and during his five years as the athletic director, he has put policies and procedures in place to make the athletic department more efficient. When Soldotna Middle School relocated and transitioned to become Skyview Middle School, he successfully transitioned the entire athletic department—including all the equipment and ordering of new uniforms. The ordering of uniforms was a daunting task as it required sizing, quotes, colors, numbers, and funding for every sport offered at the middle school. 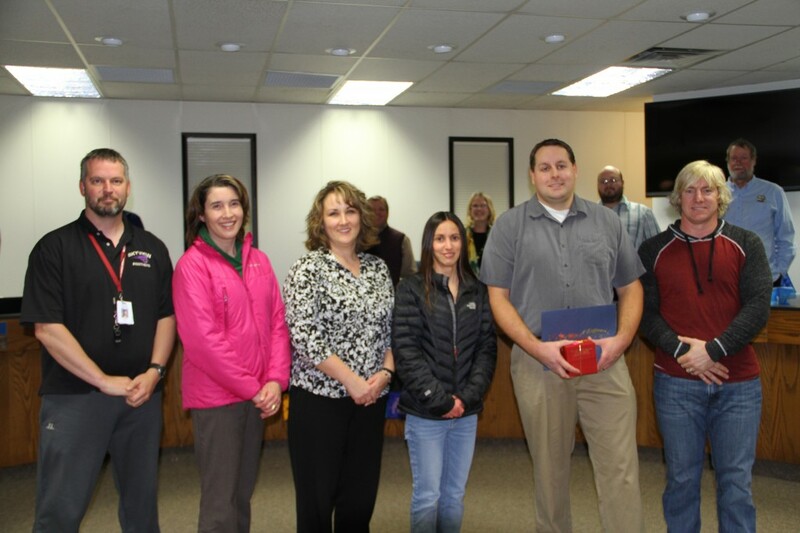 The Kenai Peninsula Borough School District Board of Education is proud to recognize Mr. Patrick Dwyer for his dedication to the students of the school district, past, present, and future. This entry was posted on November 3, 2015 at 11:27 am. You can follow any responses to this entry through the RSS 2.0 feed. You can skip to the end and leave a response. Pinging is currently not allowed.